Dreams about your ex are a very common theme at bedtime, especially after entering or leaving a relationship. If you or a loved one has been covering this ground at night, you may have questions about what it all might mean. As part of a Huffington Post series on dreams and their meanings, we spoke to Ally Mead, who has studied dream analysis at the Jungian Institute of Los Angeles and offers channeled readings in addition to dream analyses, to get expert advice about the meanings of your or your loved one’s dreams about exes. Note: While dream analysis is highly subjective, this post might provide some insight into why this dream occurred or is recurring. What do dreams about your ex mean? "Dreaming about an ex can mean many things depending on when the dream occurs and what happens during the dream," Mead says. "For example, if you're entering into a relationship with a new person, your psyche may still be trying to sort out the pluses and minuses of your old relationship. In this situation, your psyche is trying to ensure success with your new relationship. If your dreams about an ex seem garbled or unlike that person, it's likely a more symbolic dream." What can I learn about myself from dreaming about an ex? "Often, dreaming about an ex signifies unfinished business between you and your former lover," Mead says. "That doesn't necessarily mean that you're meant to be together -- or that you actually have to be around that person to deal with these issues. In fact, it may be best to look within and see where you're actually like your ex, or how the dynamic that existed between you may be enacting itself all over again in your life with a brand-new partner." Are there any tricks to avoiding or inducing dreams about your ex? "Lucid dreaming helps you remember dreams and even interact with them in a more conscious way," says Mead. "However, it often takes a good deal of practice to do this. I recommend that people ask their spirit guides and/or guardian angels to send a dream of an ex if it will help them release painful feelings. Interact in a safe way -- especially if there was abuse -- and try to forgive. The same goes for avoiding the dream. Ask them not to send it instead." Beyond analysis, what cultural symbolism can be found in dreams about your ex? "I haven't found that one particular culture dreams about an ex-lover more than another," she says. "Dreams aren't logical that way, but it's always interesting when particular cultural symbols spring up in a dream, especially if that person isn't of that culture in this lifetime. For example, if a Canadian person dreams of the Adinkra moon and stars, a common symbol of love and relationships in West Africa, the dream automatically becomes richer and more meaningful as we plumb the depths and peel away the symbolic layers." Who tends to have such dreams most frequently? "Dreaming about exes is very common -- particularly when entering or leaving a relationship -- because these are times when we're most vulnerable," Mead says. "We don't know where things are going, so our unconscious often goes into overdrive to help us establish firmer emotional ground. While some people feel guilty about it, especially if they're committed to someone else, it's really the mind's way of helping to heal and move on." Does dreaming about an ex mean I still have feelings for that person? "It can, but some deeper analysis should be done before making that determination. Consider how you felt in the dream, what was happening around you and how the dream ended. [These details] provide clues about whether or not you still have feelings for that person. Most of the time, however, dreams are symbolic and not literal. Your feelings are probably best directed toward healing whatever happened to make you exes in the first place." 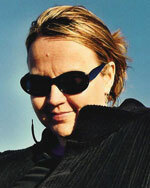 A psychic since her childhood, Ally Mead offers a friendly, empowering approach in her work as the Sassy Psychic. She offers astrology, tarot, channeled readings and dream interpretations to clients and is also the author of Searching for Sassy: A L.A. Phone Pyschic's Tale of Life, Lust & Love. Mead has studied dream analysis at the Jungian Institute of Los Angeles and has provided celebrities readings at the Academy Awards.